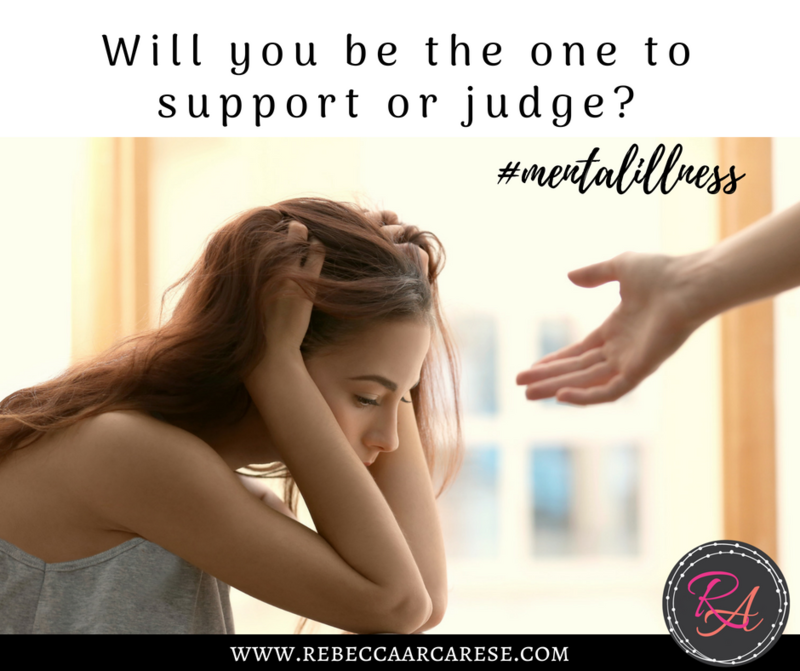 Shoulda, Coulda, Woulda – Will you be the one to support or judge those facing mental illness? Have you ever faced a difficult situation in life and felt more judgement by others opinions than support? Watching a loved one suffer, friend or family member is a hard place to live. We often feel helpless so we give what comes natural – our opinion. 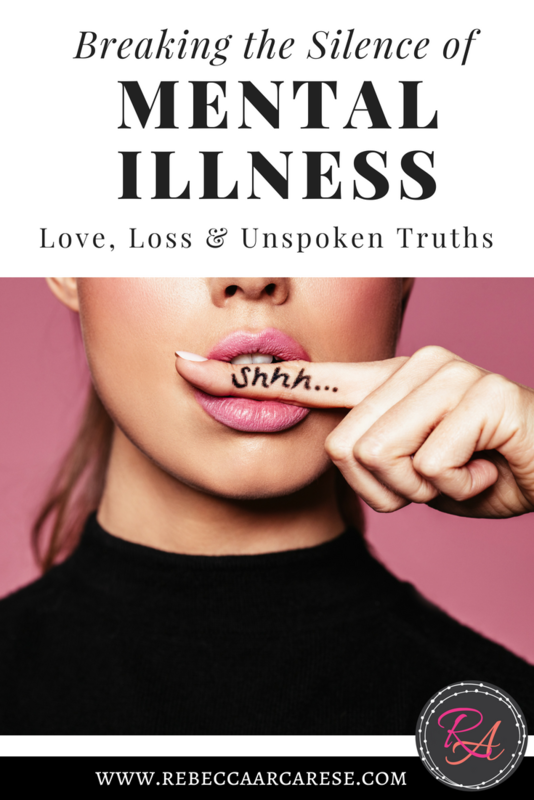 Last week, I shared a post about loss. The loss of my uncle when I was 24 years old changed me, my life, and my family. Until that morning, suicide was a thing of the movies. I had not even considered it as a possibility among anyone I knew. I was wrong. From the phone call, to the five hour drive to get to my aunt there were not many words – just disbelief. In my mind, I kept thinking I would wake up. I left my life that day on the floor. Swept away in a sea of emotions, grief, and naivety, my former self was no longer. Dramatic? Ask anyone that read the news last week of shock and disbelief. Ask their friends and family members if it will be the same. Will they be the same? When my uncle died, it was the first time I realized there were: the shoulda, coulda, wouldas. The things we tell ourselves in the face of tragedy. I would have been THE ONE to change his mind. Only it did not ever occur to me until I began my long healing journey that others would interject their own shoulda, coulda, wouldas into my life. You would be better if…. There were so many that SHOWED up during this season. So many that truly saved my life. My friends forced me back to work. It wasn’t an opinion. It was not an option. It was a get back to work and I’ll drive you. However, they quickly became a shiny exception to the rule. Why? Why is it different? In the wake of suicide, in the face of shock, so many opt to give their opinion in the absence of knowing how to help. Just like in any tragedy, everyone does grief differently. Here is what I do know – the shoulda, coulda, wouldas have no place in helping. 1. To put it simply, HONEST conversation. Without the ability to honestly process and talk about mental illness we choose to hide it in the back closet. To pretend it doesn’t exist. We isolate those that need to share about their loved one. There are some that in the face of my tragedy chose to tell people my uncle was murdered. Which in a way he was – murdered by mental illness and the societal pressure to keep it hidden. I do not know if there is one group or support process that is better than another. I attended a support group for family members of suicide victims for a season. But it could not really give me what I thought I needed at the time – answers to my WHY ? However it looks, there is no substitution for a good trained counselor. The shoulda, coulda,wouldas from untrained opinions are dangerous. If you support someone battling mental illness, you need trained counsel. Not opinions. 2. Listen. The question of Why is a tough one. I wish I had a note. But through my long healing journey I came to realize that would it really make a difference? Why? Finances? Marriage? Depression? Even if one reason was pinpointed, it would not give me back the one thing I really wanted – my uncle back. The support group, counselors, and many late night conversations with my crew helped. They never once stated they could fix my situation. They could not make it better. They listened. Listened again. Then when there was nothing more they listened again. 3. Actions speak louder than words. If you think a friend is not eating enough in their grief, take them a meal already prepared. If you are going for a walk, go get them and take them along. If you ask me, “call me if you need anything”, I won’t call. Not because I do not want to call. It is because I do not know from one moment to the next what I do need. If you come over to do my dishes and make me coffee – that may be just what I need that day. I do not know. I know I was a hard person to be around in the initial stages of this season. Grief can be all consuming. It changed my lens. I was less tolerant of the “trival” things of life. Sometimes it felt like I was on a mission to make up for the missed moments my uncle will never live. However it happened, my perspective changed. I learned to use it for good. Channeling grief and life to help others. In the process I promised I would never be silent. I will tell the story. Out of respect for my aunt I did not begin to write about it until she passed. She passed this past year. I have and will continue to speak about it on many platforms. Mental illness does not need to continue to steal the lives of those who fight the battle to overcome. 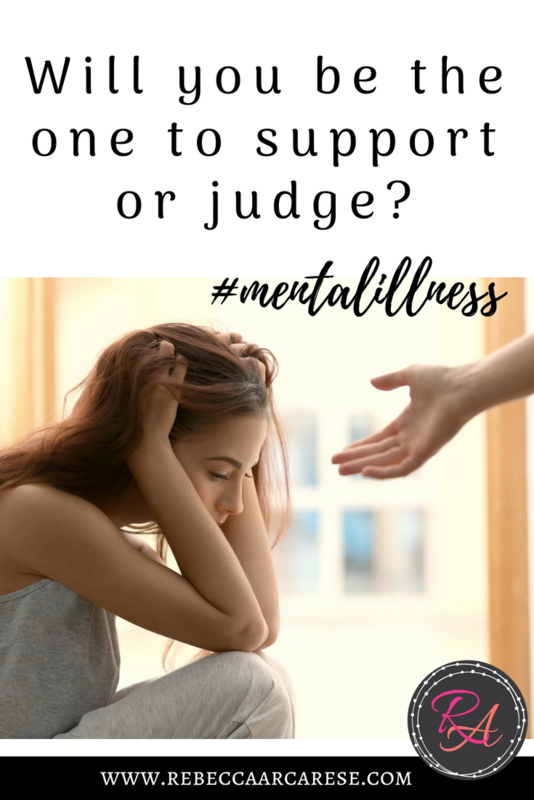 We, as the community that surrounds and supports loved ones with mental illness, have a choice. Do we hide away because of embarrassment, because it is hard, because there are moments when people look at us and judge? Or do we stand up and say enough! The people that support their loved ones in this battle need your unconditional, fierce love. They need your action, They do not need your judgement. What can you do to support and uplift someone in your community that is hiding under the pressure of their loved ones mental illness? Will you be the voice? It took me awhile before I realized the screams I was hearing were my own. When I came out of my dream-like state, my co-worker friends were shaking me and asking me loudly to focus on them. I was standing in a conference room down the hall from my desk. The last thing I remember was picking up the phone. The fifteen minutes I do not remember that day was not the only thing I lost. Both are gone forever. My story is not uncommon. It is just not to be spoken. Those fifteen minutes I lost, it has taken 20 years for me to share them. I will share them with you this month. May was Mental Health awareness month. I can not speak to what it is to suffer from mental illness. It is not my story to tell. What I will share in this next two weeks is hard. It is not what many people want to hear. There are so many that need our love. Fierce love. Unconditional love. Will you join me on this next journey? 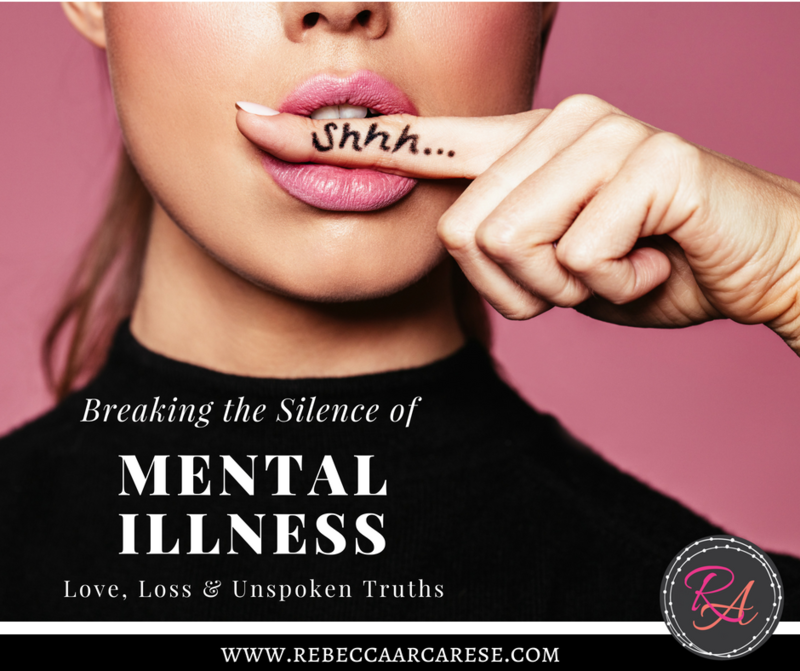 Join me as I share what it is like to walk along side someone with a mental illness. The judgement, isolation, and fear that families deal with in silence. It is not to overshadow the immense difficulties of those with mental illness. They are valid. If that is you – your story matters. You matter! I can only share from the place of knowledge I possess. The helper to those that need it. Are you a helper? Are you lonely? Do you feel judged? I encourage you to share as you can only share. Your story. 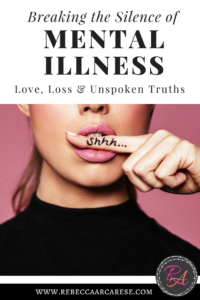 Not your family member’s story of illness – your story of unconditional, challenging love. You matter too. I will share as many resources as I know to share. Let this next journey be one to create the habit of support in your life. One where you no longer feel alone.